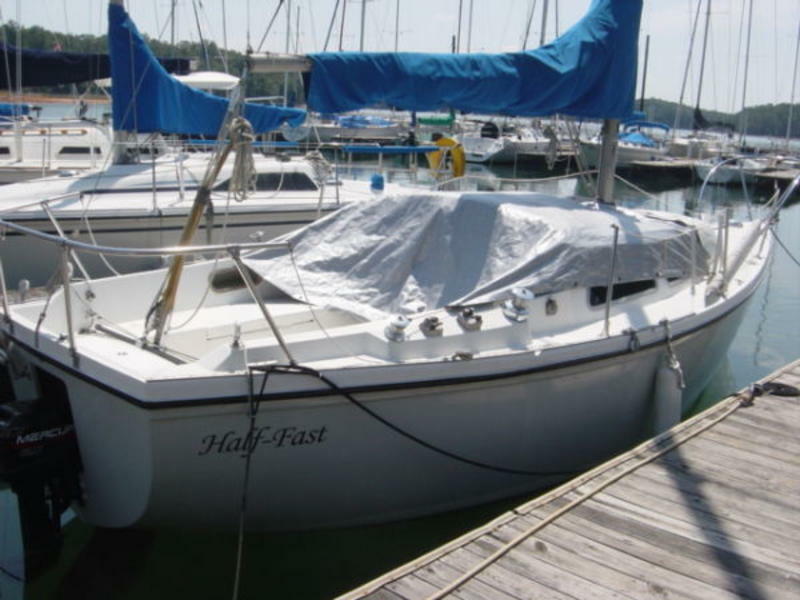 27 Catalina 1973 Tall Rig, w/6HP 1996 Mercury Outboard, New Mast Hardware, lights & wiring/New topsides paint/New Interior Cushions & Upholstery and Head, Total epoxy bottom job in 2005 and ready to race. 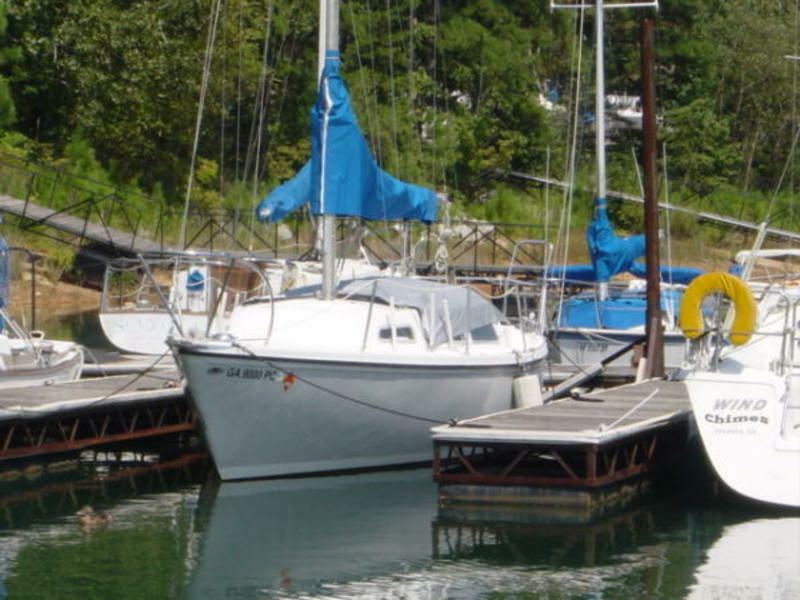 Large sail inventory and well cared for Catalina 27. 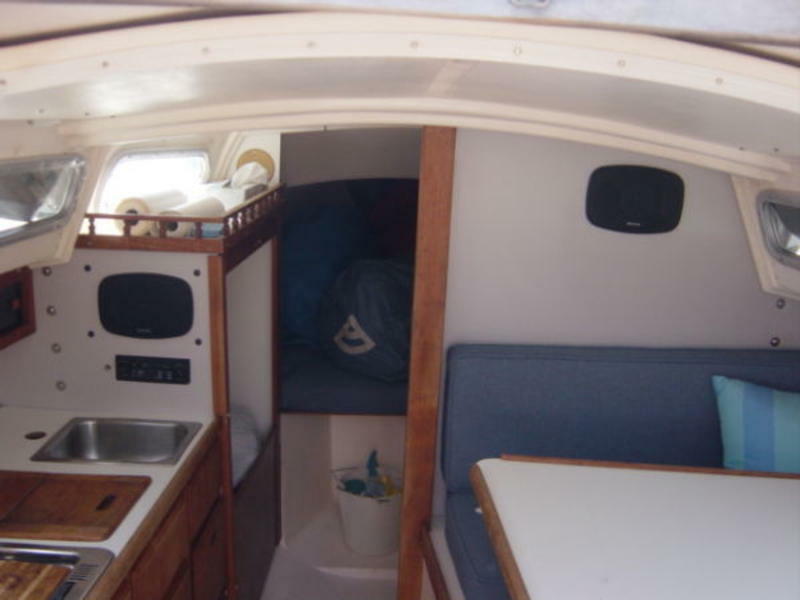 Sleeps up to 6, perfect for 2; 6’1″ standing headroom; new head & holding tank. 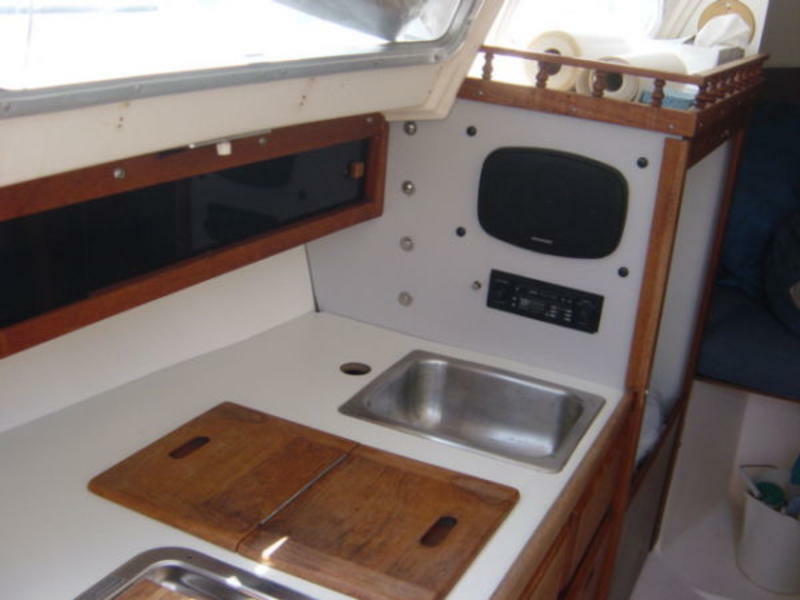 Dinette Layout w/Galley to Port. New interior cushions. New interior lights & switch panel. 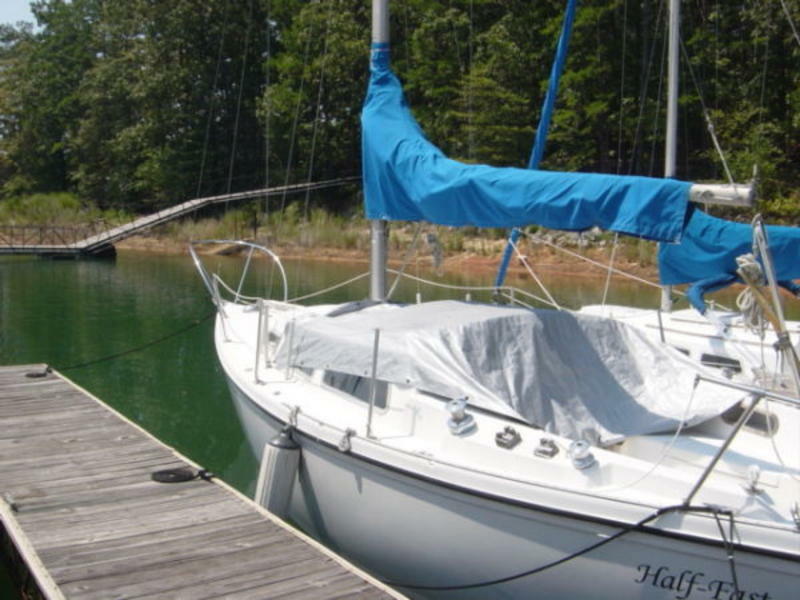 Early 90’s mainsail (heavy duty dacron); fully battened w/2 reef points. 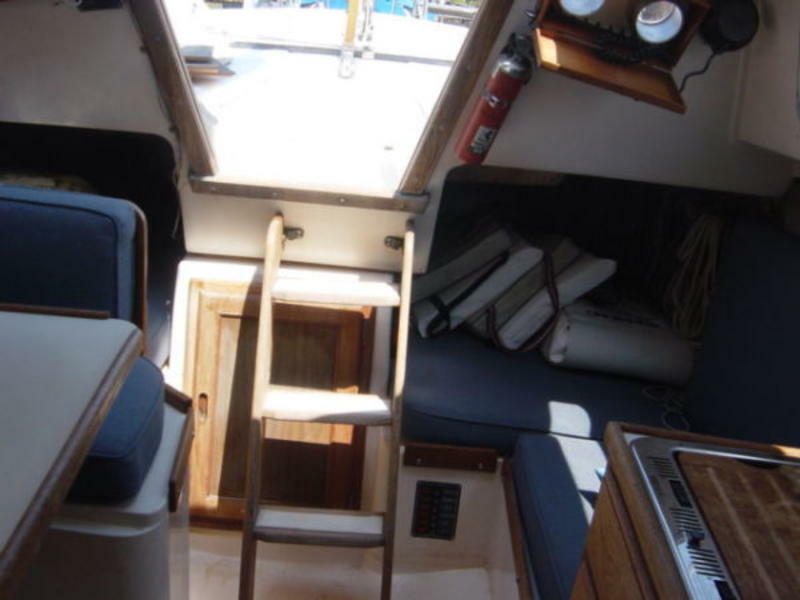 Tall rig has 364 Sq.Ft of sail area. Main & Jib Halyards Led Aft to Cockpit. 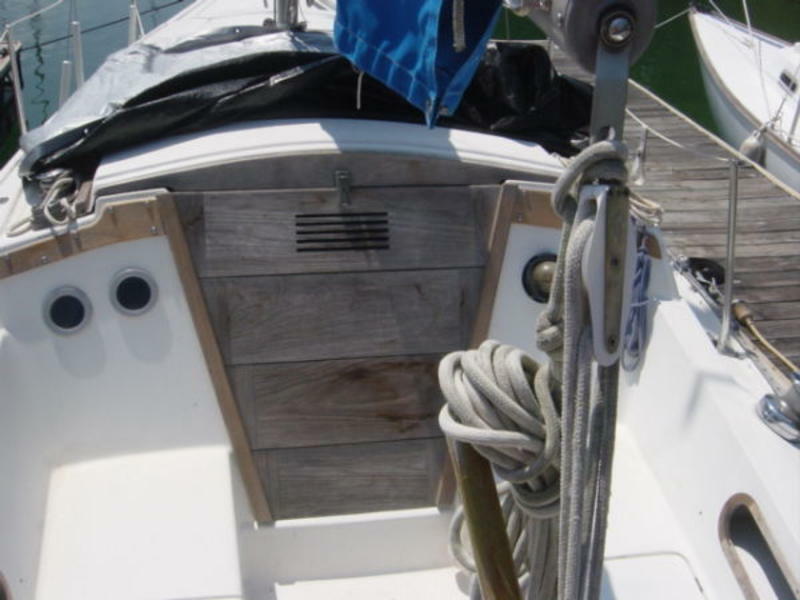 Bow Rail & Stern Rail. Bottom painted & epoxy barrier coat in 2005. Outboard w/less than 5 Hours.